Chatbots aren’t exactly seen as the preferred conversation partner by many. In large part, this is due to the capricious way that companies often start up their chatbot messenger projects. 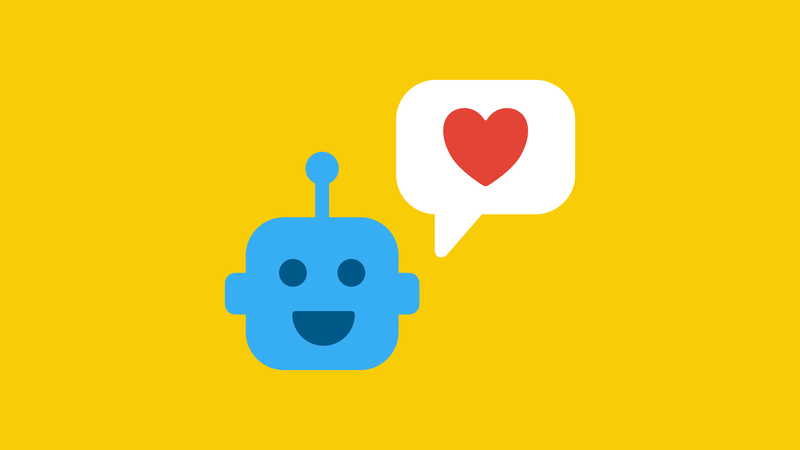 However, when bots are used thoughtfully, they can actually help draw in customers. Chatbots have been considered one of the most promising digital trends since at least 2016, when Facebook introduced a platform for automized communication at the F8 Conference. A simple Google search delivers almost 14 million results. Many think the chatbot messenger Boom is completely overhyped — and honestly, I agree. At the same time, I think it’s a shame, because Bots, round the clock helpers, have huge potential. Unfortunately, their execution currently leaves a lot to be desired. But, let’s start at the beginning. Chatbots are essentially just automated dialogues. 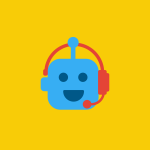 I’ve explained in a previous article that Chatbots can be a huge help in customer service. In my opinion, this potential actually carries over through the entire range of digital communication. According to Facebook, each month about 200,000 active Chatbots use Facebook Messenger. The majority of these are simple FAQ-based models, which you can put together yourself in about 15 minutes on the site Chatfuel. Using this type of Bot quickly leads to frustration and disappointment. Personally, I would say that I’m racing down into the “Valley of Disappointment” — but I’m looking hopefully towards the future. Most people don’t like Chatbots?! 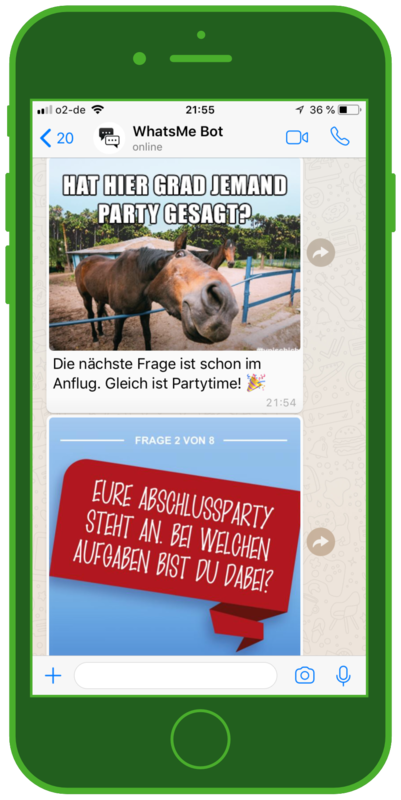 As someone who’s been earning his keep through work in digital communications for years, I tend not to believe statistics telling me that Germans have no interest in Chatbots. The reason is simple: the vast majority doesn’t know what Chatbots are. They’re imagining something more like robots that want to take over the world. Our widespread “Safety first” mindset means that we are more likely to judge an opportunity’s risks before we appreciate its potential. As a result, helpful and innovative technologies are often judged and rejected too quickly. Currently, there’s no unified or scientific approach to distinguishing between different types of Chatbot Messenger. Next to the customer service Chatbot, I see three versions, which I classify according to use. 1. 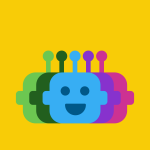 Gamification: These Chatbots function similarly to computer games from the 90’s. The Bot and the user progress towards a goal through a dialogue of questions and answers. The “game” can end with a personalized video, a job suggestion, or anything that can be determined through user input. 2. 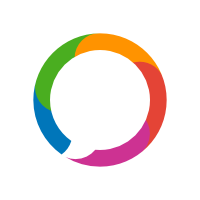 Inspiration: These Chatbots are created for specific topics, and provide assistance in set ways. 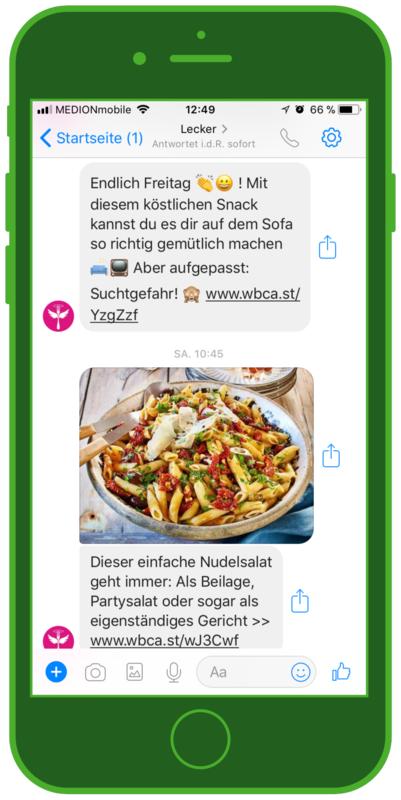 For example, recipe Chatbots can offer any number of cooking and baking suggestions. I can ask two German variants, “Lecker” and “Maggi,” about any number of recipes and get mostly suitable responses. These two offer related services in addition to answering questions: Lecker sends daily recipe ideas, and Maggi suggests ordering recipe ingredients on a grocery delivery website. 3. Information: Currently, the most successful and widely used type of Bot is the Info-Chatbot. These use specific parameters such as time, place, and content preferences to regularly provide information about selected topics. 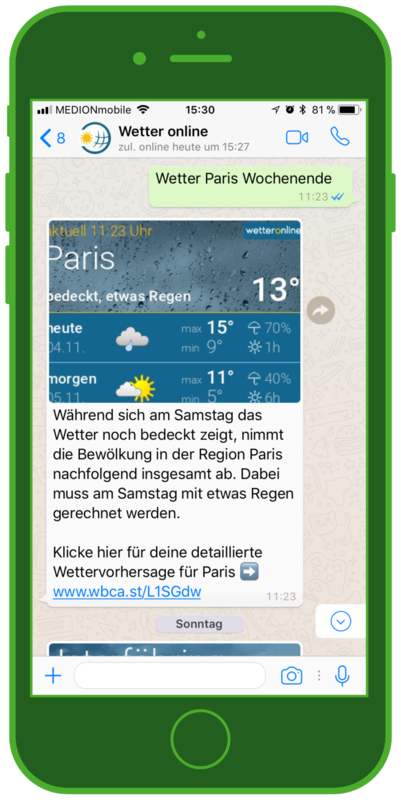 I have a newsbot that sends me news updates twice a day, a weatherbot that sends me the weather in Unterföhring every morning, and from Xing, a chatbot that sends me weekly job opportunities that match my Xing Profile. I can also ask all of these Bots specific questions and get answers immediately.